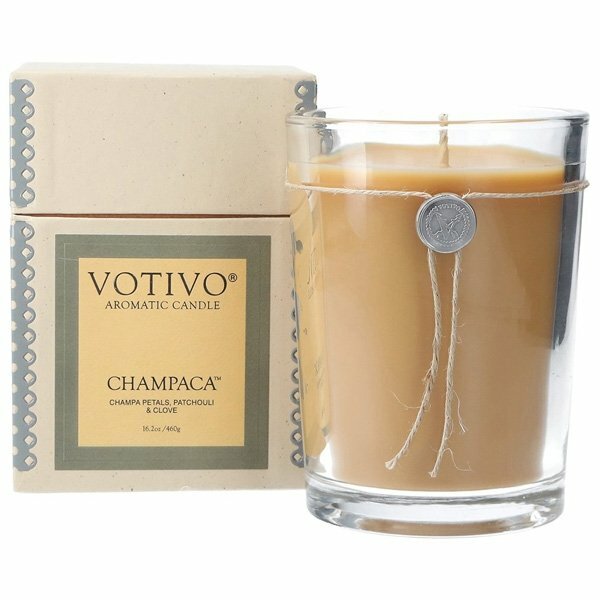 Votivo Champaca Candle is trudging through the rugged Himalayans on 15th day of the dark fortnight, the journeyman pauses to gaze at the black sky. The inspiring aroma of rare sandalwood inextricably interwoven with the scent of the delicate champaca petals soothes his weary soul as the whispering smoke of the nearby village ascends into the heavens. Cyclamen. Amber. Orange Flower. Neroli. Champa Petals. Patchouli. Musk & Clove. Supersize your Votivo Aromatic Candle experience with the 16.2 oz Large Candle. Enjoy your favorite fragrance even longer with a burn time of up to 100-110 hours.